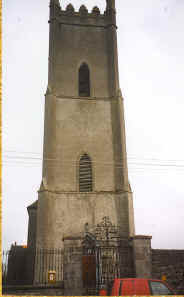 St. John's Church, on Main Street, was built in 1772. Lord Drogheda built this church. The marble altar step and some of the seats were given as gifts to the church by Lord Drogheda. He had his own private entrance to the right hand side of the church. 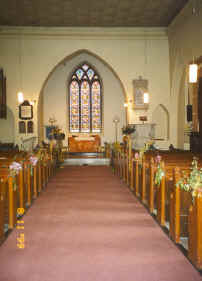 There is a lovely stained glass window at the altar. The Church Gate is one of the finest examples of excellent wrought iron work in the country.